Aleatico [Vernaccia Rosso] is an uncommon and seldom seen varietal that is well worth seeking out. With its characteristic aroma of roses, it displays vibrant berry flavours along with savoury herbs and spices, and surprisingly it’s both sweet and dry concurrently. Francesco Tonelli is a 4th generation winemaker, and is referred to as the “Indiana Jones of Pergola” due to his pioneering reputation of hunting down and revitalizing nearly extinct indigenous grape varietals. He is a faculty member in the Agricultural Sciences Department at the University of Bologna, and fought for the creation of the Pergola Rosso DOC, which now consists of 45 hectares and 3 individual winemakers. 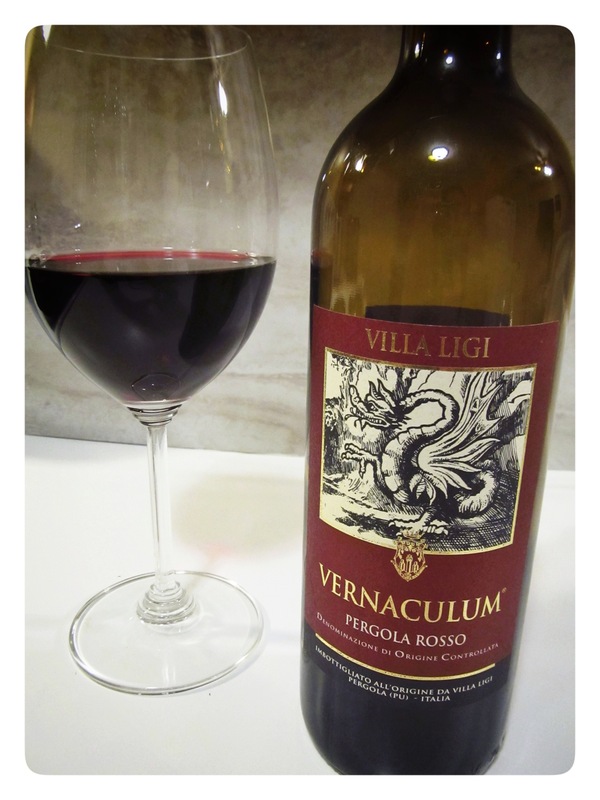 Francesco is assisted by his wife and his son Stefano, who is now the winemaker of Villa Ligi, following the family belief that quality wines are crafted from the combination of generations of family tradition along with a “strict minimum of technical innovation”. The Tonelli family philosophy is “that a wine should reflect the characteristics of the terrior with extreme sincerity” and that it should convey “the typical features and local traditions”. The Vernaculum was rested for 3 months in glass-lined cement tanks before being released, and was crafted to be enjoyed young. Red-violet in colour with alluring aromas of roses, candied cherry and sandalwood. Juicy wild berry preserves, tart red currant and traces of warm summer earth comprised the medium body, whilst black peppercorn and herbaceous elements lingered in the moderate finish. Fruit forward with clean flavours, this is a well balanced, exuberant glass that is fantastic on its own or with a variety of dishes.